Let’s Face it, we could all use a little minimizing in our lives. From content overload to eating take-out on a daily basis to the negative effects of cheap, fast fashion…we have become a culture of excess. There are around 270,000 tons of plastic waste floating on the surface of the ocean today. Not only is it harmful to marine life, but when it breaks down, it releases toxins directly into our water and environment. Follow these Five Simple Tips to be Plastic Free. 1) Ditch the plastic bags at the store and buy your groceries in bulk. Bringing your own bags and containers eliminates the need for those little plastic produce bags. Store your produce in glass containers and cloth towels to keep it fresh. 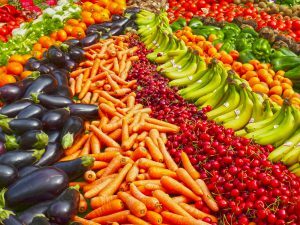 Stores like Whole Foods and Rainbow Acres have plenty of bulk options that will help to omit waste. 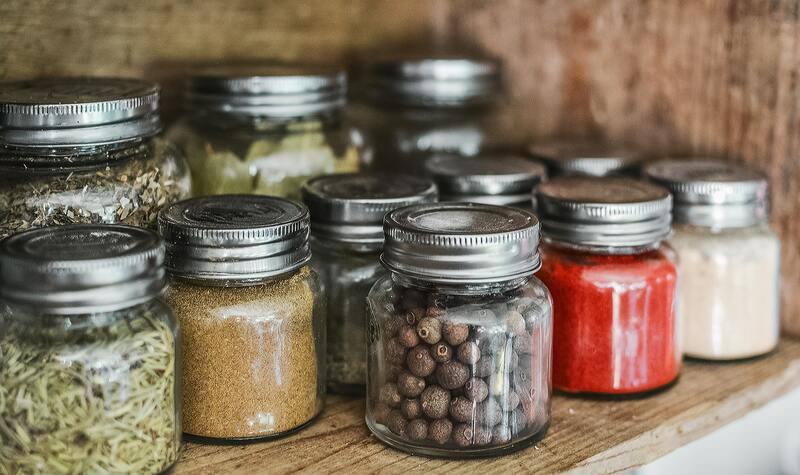 Shopping in bulk is often more affordable than conventional grocery shopping, and it allows for your purchases to go into your very own containers! 2) Use Coffee Grounds as an all natural exfoliator. If you think about it, most exfoliating face and body washes are made with plastic microbeads. “A single tube of face wash can contain up to 30,000 microbeads, all of which enter the watershed when they are washed down the drain” (courtesy of onegreenplanet.org). Try this great recipe from The Coconut Mama by mixing coffee grounds with coconut oil for a simple exfoliant that will make your skin glow. 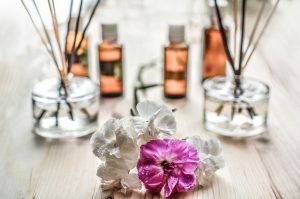 3) Use Essential Oils in glass diffusers as a substitute for store-bought air fresheners. Get rid of the non-recyclable plastic and toxic chemicals in traditional air fresheners! Mix your own essential oils, such as eucalyptus and lemon oil or a combination lavender oil and sage with some white vinegar. Put it into a glass diffuser to make your home smell clean and fresh. 4) Pack your lunch and nix the “t0-go” containers. By packing your own lunch, you will most likely make healthier eating choices as well as eliminate tons of plastic from takeout containers, plastic straws, and utensils. Try using stainless steel bento boxes and include your own utensils to do away with the wasteful packaging. 5) Get into DIY! There is something extremely rewarding about creating your own home and beauty products from scratch. The average adult uses around 9 personal care products per day (before even putting on their make-up!) Sadly, most of those products come in plastic bottles. Start having fun with your beauty routine by making your own shampoos, conditioners, scrubs, face-washes, perfumes, and toothpaste and store them in pretty glass jars.